This is the first in a series of articles we will publish on industry trends in the bio and outsourcing space from representatives of Women In Bio (WIB). In this piece Lisa Bjornestad, director of business development for DaVita Clinical Research, discusses trends in Phase 1 trials. Bjornestad has been involved with clinical research for over a decade, working in both operations and management. Her specialties include clinical operations, project management, CRO services, research sites, and subject recruitment. 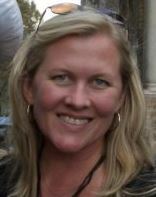 Prior to joining DaVita, she spent time with Radiant Research in Dallas, TX and San Diego, CA.